Come and share your personal aspirations, reflect on your life and connect with others at the iconic Moses Mabhida Stadium from Saturday, 28th September 2013 when we reveal a wall of hope, inspiration and unity – bringing a global art experience to Durban. The Moses Mabhida Stadium was honoured to be chosen as the best location in the city by Vega Brand Communications student, Marissa Whittle, as part of her thesis. My thesis looked at how civic spaces can recreate a sense of community…. What I found was a spaces such as MMS have successfully achieved this however publics still want more- we what a space to share personal aspirations, engage, reflect in life and connect with others- even complete strangers. And this wall achieves this. The wall will be officially revealed and opened at 10am on Saturday 28 September, Imbizo Place (next to the SkyCar). The inspiration for this concept came from the phenomenal work of Candy Chang, an artist inspired to make people of different languages, races and cultural backgrounds share, connect and inspire each other. 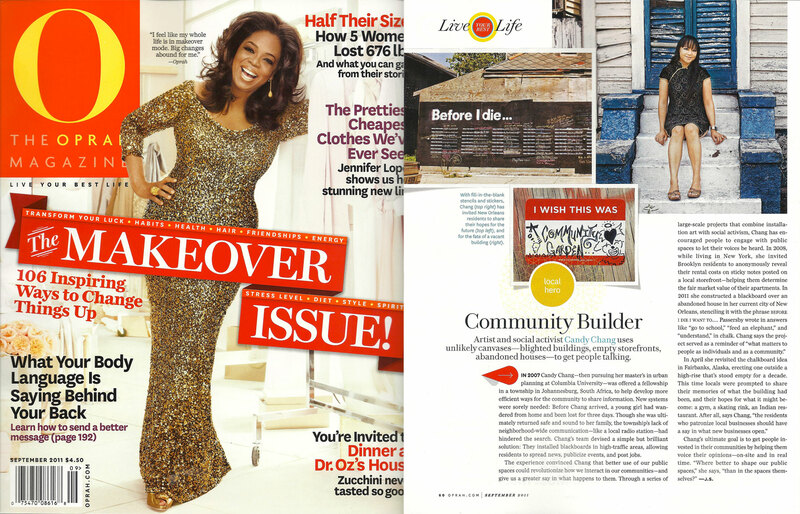 She firmly believes that spaces shape communities and communities shape the space. Candy Chang is an artist who explores the relationship between public space and personal well-being. Her work has been exhibited in the Venice Biennale, the Smithsonian Cooper-Hewitt National Design Museum, the Centre for the Living Arts, and the Southbank Centre. She is a TED Senior Fellow, a Tulane Urban Innovation Fellow, and a World Economic Forum Young Global Leader. 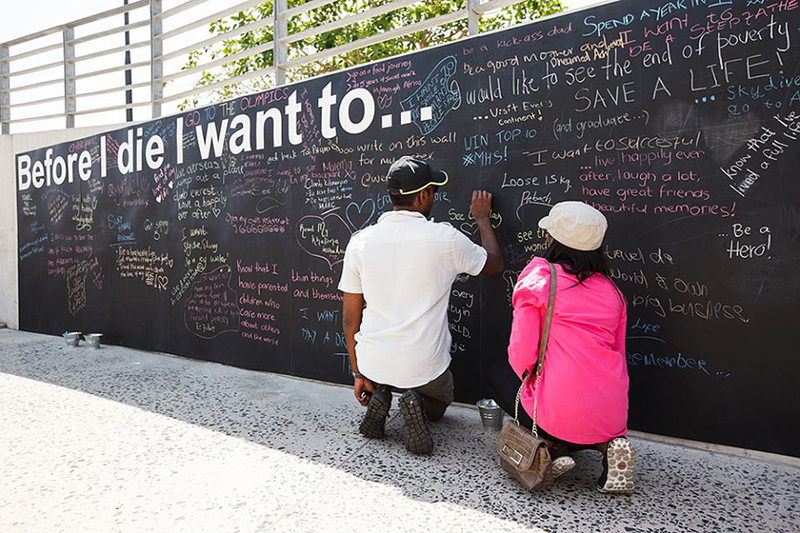 A 9-metre chalkboard has been installed on a wall near the SkyCar where members of the public can write their response to the prompt “Before I die I want to…” The wall is for the public and complete strangers to share their wishes for their lives, find commonality, connect and inspire. In the past two weeks alone 14 walls have gone up around the world – including Malaysia, Newtown, NZ, Chennai, India, Canada, Belgium, Iraq and most important DURBAN. 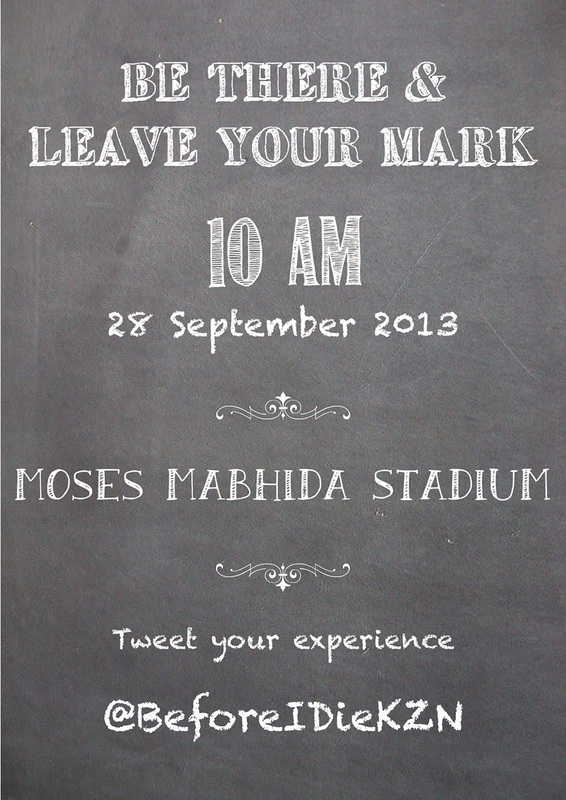 So, come and contribute in shaping the space at the stadium by leaving your mark! Tweet your experience to @beforeidieKZN and keep the conversation going.